One of the worst things that a Muslim can do, is call his fellow Muslim a disbeliever/Kafir. This issue is the topic of our following post. This happens far too much in many communities and groups. We seem to enjoy labelling groups of people at every given opportunity. We are concerned about this as it has become a common practice and we need to move away from this mentality. There is not one group that is free from this, just about every group is doing this. We are not talking about scholars who warn about certain issues that need to be addressed. But do they need to be spoken about every time someone makes a public speech? It was fitna/tribulation in the past and now thanks to the over zealous its a modern issue. The majority of people call each other Kafirs just because someone does not believe in what they are following or their group or there interpretation of an issue. So this is really about rejecting group mentalities not about rejecting Islam but so many of us reject what one group says and then call them Kafirs. This ignorance has to stop, it really does I am so tired of this backward mentality. The most shocking thing about this fact is that almost everyone is doing this! Irrespective of the group that they belong to, they are all doing it! قال رسول الله صلى الله عليه وسلم: أيما أمرئ قال لأخيه يا كافر فقد باء بها أحدهما، إن كان كما قال، وإلا رجعت عليه. رواه البخاري ومسلم. Do you really want to take the chance of calling someone a disbeliever and this curse returning to you? Do you really want to take that chance? Are you really that sure of yourself? The curse of disbelief returns to the one who said it; if that person he labelled as a disbeliever was not worthy of that name. There are so many people who have not studied Islamic belief but find it totally acceptable to call someone a disbeliever. How can you when you have not studied Islamic belief? How can you be certain what is in people’s hearts? Don’t we remember what happened to Usama ibn Zaid (may Allah be pleased with them) when he killed a man who testified to Islam but this individual after testifing kept coming back to fight the Muslims? The Prophet (may Allah bestow peace and blessings upon him) kept asking Usama if he looked into his heart? Usama was so upset that he almost wished that he had not accepted Islam. This is how severe this problem is. Is this not enough for you to stop this nonsense? Are we following the Sunna of the Prophet (may Allah bestow peace and blessing upon him) or are we making up our own? As it seems that people have abandoned this Sunna a long, long time ago. I have yet to find a hadith that the Prophet (may Allah bestow peace and blessings be upon him) addressed anyone as a disbeliever but we find this word as easy to use as breathing. If you have a disagreement with a brother on a certain issue then do not discuss it because it could get worse and thus cause a greater problem. Generally, it is disliked for scholars to debate never mind the average person! So your job as an average Muslim is to be bothered about what you can change; if you are not a scholar then you should not be discussing these issues! Have we forgotten this Quranic passage? "O you who believe! Let not a folk deride a folk who may be better than they (are), not let women (deride) women who may be better than they are; neither defame one another, nor insult one another by nicknames. Bad is the name of lewdness after faith. And whoso turneth not in repentance, such are evil-doers." The average person who is not a scholar has an excuse for his mistakes but the scholar does not. Sitting in gathering where people slander other groups is not the Sunna this is something else. This is something that the Prophet (may Allah bestow peace and blessings upon him) warned us not to do. The question is why are we doing the opposite? It looks like we have abandoned the Sunna years ago and made up our own by calling people disbelievers. Most of the time people have no theological basis to call someone a kafir, none whatsoever. Does missing pillars invalidate ones Islam? Faith is according to the Hanafis: affirmation of the tongue with belief in the heart. Imam Maturidis says someone can be a believer with Allah even though they have not affirmed it on their tongue. The Asharis say belief is Affirmation of the tongue, belief in the heart and acting on the pillars of Islam. Now, the difference being that both groups do not consider a Muslim who does not pray to be a disbeliever. Rather, they are sinful but still believers. Some groups have said that someone who does not practice is not a believer but the majority of Sunni opinion of both Maturdi and Ashari's is that they are sinful. Ibn Abbas (upon him mercy) says disbelief here means ingratitude or rejecting blessing not actual disbelief. They are sinful but this sin does not cause them to leave Islam. Only the Khawarij and Muzilites consider them to be outside the fold of Islam but this opinion is widely rejected. Though there are some 'sunni' groups who are trying to encourage people to practice Islam by unearthing this incorrect opinion. The only sin that would take someone out of Islam is openly denying the testification of faith. It is an action or words that there is no possible interpretation other than disbelief. Like someone saying there is no God or insulting one of the Prophets. Ashari and Maturdis differ in this. The Asharis say if someone denies what is commonly known about Islam that constitutes to disbelief like denying fasting is an obligation in Ramadan. The Maturdis say anything that can be decisively proven that is mass transmitted. Not something that only a few people know anything about. Please note every misguided group will claim kufr disbelief can be done easily and every correct group will say that it cannot be done unless there is no other possible positive interpretation. Also know many people are unaware about their belief so are liable to commit major wrong actions without know it. Each group have 'matters' which cause disbelief but that is not true outside that group. We need to look at the tradition as a whole and not in isolation. Anyone who follows one scholar in isolation will be misguided. This is a sad list because what most people think is disbelief is not actual disbelief because it might be a major sin. - Rejection of a group methodology. It might not be a sin, it might be sin. -Dress, hats, ties etc. There are many incorrect Fatwas that state wearing a particular type of dress is belief. This is also incorrect. It might be a major sin for Muslim to look like a priest but not disbelief. - Transmitting a statement of disbelief is not disbelief. When warning or explaining to someone. - Seeing a fortune teller or horoscopes is a major sin not disbelief. The hadith is a warning because it is singular. - Despairing of the mercy of Allah (the Exalted) is a major sin but not kufr. - Rejecting rare hadith. This is complicated, because it is only disbelief if it mass transmitted. Otherwise it could be a sin but not kufr to reject rare hadith when it opposes other stronger hadith. - There are things that are in books of fiqh and so forth, that the writer may deem as kufr but it is not kufr but major sin. He said it was kufr to stop people from doing it. So just because someone said doing 'X' is kufr, in a book, does not mean that is how it actually is. 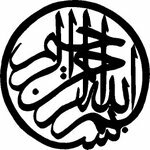 Ibn Daqiq Al-'Id said in commentary of the forty hadith of Imam Nawawi, "Al-Khattabi mentioned this, stating, “There are people who are outwardly Muslim but secretly disbelievers; we accept their outward Islam.’ This is the opinion of most of the scholars." We do not pry about peoples faith. If they say that there are Muslim that is sufficient. The only exception is when there is a genuine reason to trust that. After some reflection we would like to make our last point and this is aimed at some individuals. It is really quite shocking and disgusting to witness. Some people read statements of scholars or other people and then call them disbelievers. After such an act they then demand other people to call the scholar or person a disbeliver, if they do not follow them then they say, "He is a kafir and if you don't say he is a kafir that makes you a kafir!" Statements of disbelief can not be used as evidence to someones disbelief; this has been stated by the scholars of Islamic belief. Disbelief is that statement where there is no possibility of it meaning anything other than disbelief. Transmission of a statement of disbelief is not disbelief! So if someone transmitted a statement of disbelief from someone that does not make them a disbeliever nor does it make you a disbeliever, if you not call them a disbeliever! Most of the people who are calling others disbelievers affirm one of their teachers claims and then they repeat it to others. The problem with this is that most of the cases that they are not disbelief, so the others repeat the mistakes of their teachers. This is nothing but a disaster. Even if you hear something but you are not taxed to repeat it nor should you. Stay quiet, really just stay quiet and do not repeat their mistakes lest you fall into the same problem. A statement of disbelief has to be clear and without any other possible way of explaining it other than it being a statement of disbelief. If a statement is made we have to seek clarification because many a time people do not know what they are saying. Many people may repeat what they hear off television and not realise the meaning of what they have said. For these people we should leave them and not purse the matter because it might get worse. How many times have great scholars of the past been attacked because of the ignorant who read their books and do not understand the terminology they use. Learn the frames of reference that scholars use then you will understand. Blurting off statements without understanding the frames of reference makes you look foolish. The only person who can really judge someone is someone at their level. The man on the street who has yet to refrain from harming everyone he comes into contact with has no place to be standing judging anyone nevermind scholars! This might be confusing to some but this happens a lot and it constantly shocks me when I hear it. I have heard this a lot and other people have asked me to call some Muslims disbelievers and when I refused, well you can guess what happened then. We need to stop this, we really do. Also, if you call someone a disbeliever and you are wrong then the following occurs. You leave Islam and then your marriage is annulled, if you are married. So you have to repeat the testimony of faith and then re-new your marriage contract. This is not something you should take lightly. How many of us have left Islam, come back then not renewed our marriage contract and are therefore living in sin? Do you see the seriousness of this? May Allah (Almighty and Majestic) forgive us all. Genial dispatch and this enter helped me alot in my college assignement. Gratefulness you seeking your information.